Russia is ready for further cooperation with the United States on Syria, as without such a partnership neither political settlement in Syria, nor fight against terrorism is possible, chairman of the Russian upper house defense and security committee Victor Ozerov said Saturday. MOSCOW (Sputnik) — He also said that Washington was unlikely to carry out news strikes on Syria, despite claims on readiness for further action, made during the emergency meeting of the UN Security Council. Ozerov stressed that the recent US strikes violated the international law, adding that the issue should be discussed in the United Nations. "Objectively, we will need to hold the talk [with the United States], especially considering that the United States ois backed by allies. The United States is not the last player on this chessboard, and it will be difficult to finish this party without agreements between us," Ozerov said. On Tuesday, the Syrian National Coalition of Revolutionary and Opposition Forces reported a chemical weapon attack in Syria's Idlib province. According to recent data provided by the World Health Organization (WHO), 84 people, including 27 children died in the suspected chemical attack. 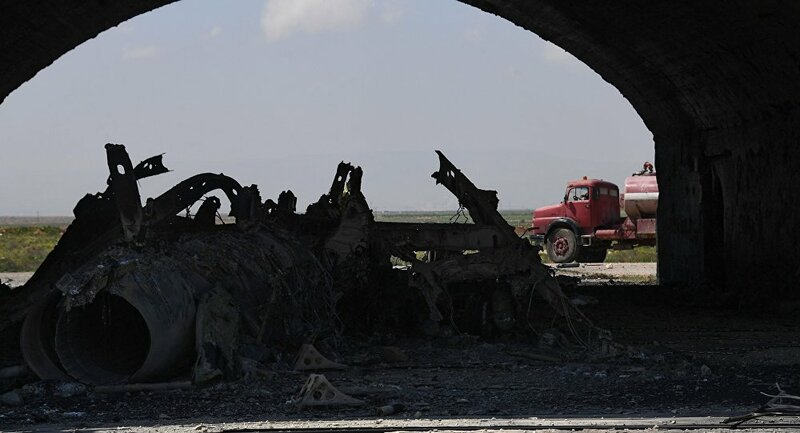 On Thursday night, the United States carried out a cruise missile attack on the Syrian military airfield in Ash Sha'irat, located in the vicinity of the Homs city. US President Donald Trump said the attack was a response to the reported chemical weapon use in Syria's Idlib, for which Washington put the blame on the Syrian government of President Bashar Assad. The Syrian foreign minister has denied the government's involvement in the Idlib incident, saying it had never nor would it ever use chemical weapons on either civilians or terrorists operating in the country. Following the attack, the UN Security Council held an emergency meeting, during which US Ambassador to the UN Nikki Haley said that Trump's administration was ready to take further military action in Syria, but hoped it would not be necessary.